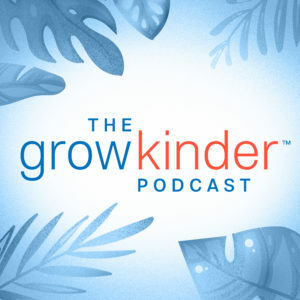 SEATTLE – Committee for Children (CFC), the global leader in research-based social-emotional learning (SEL) education, is launching a first-of-its-kind podcast, called Grow Kinder. The interview-based, SEL-centric podcast will feature conversations with thought leaders in education, business, tech, and the arts who all have one thing in common: a dedication to growing kinder and helping others do the same. Social-emotional skills, such as empathy, emotion management, and positive communication, are important inside and outside classroom walls. Their impact continues long after students leave school and enter society. Guests will speak from personal and professional experience about how SEL is beneficial in school, in work, and in life. Grow Kinder is co-hosted by Committee for Children’s own Mia Doces, VP of Innovation, and Andrea Lovanhill, VP of Marketing and Client Relations. “I’m especially excited about this because we talk about this every day all day with each other at Committee for Children, but really thinking about how this applies in other areas is super exciting for me, and I think it really opens up the space for more innovation,” Lovanhill said. Committee for Children announced the podcast on January 16 as part of its 40th anniversary kick-off celebration. Throughout 2019, the organization will commemorate its anniversary via public education and activism, starting work toward its new Big Hairy Audacious Goal (BHAG) to positively transform the social and emotional well-being of 100 million children annually by 2028. The first episode of Grow Kinder features a conversation with Maya Enista Smith, executive director of Lady Gaga’s Born This Way Foundation. A preview of the podcast is live on GrowKinderPodcast.org, and the full episode will be available for download on Wednesday, January 30. Committee for Children will release new episodes of Grow Kinder monthly. Listeners can download episodes on GrowKinderPodcast.org or subscribe on iTunes and Stitcher.